I am contesting Citation 45001124 I received on 06/25/2016 at 1343, which states my car was parked at or near LOT B3. I am writing to formally challenge this ticket for the following reasons. According to 21113(A) CVC-100A, No valid permit displayed. However, in my situation I was legally parked on handicapped parking space with a valid disabled parking placard provided by DMV (a CA state entity) parking code CVC 22511.55. In addition, I survive on Social Security and the fine amount would create a tremendous financial hardship to me and my family. To provide evidence in my favor I have attached copy of disability placard, doctor letter, social security award letter. to this statement. For the aforementioned reasons, I am requesting my ticket be dismissed. 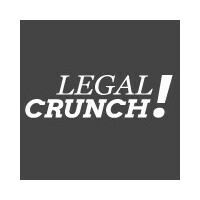 version 3 by LegalCrunch Inc.